Discussion in 'Cardiff Times' started by Emily [GIF], Jan 18, 2019. 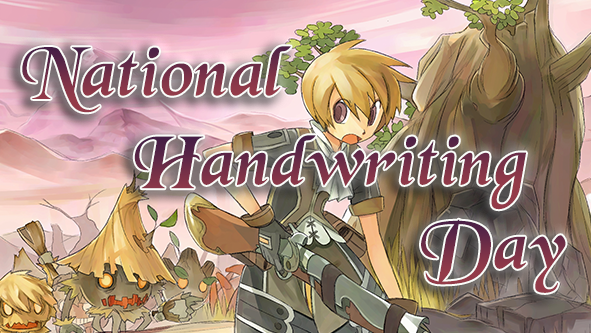 National Handwriting day is coming up and we have planned a fun little art contest for you all to test your creativity! Have you ever thought about how you would redesign the Florensia Logo if you had the chance? Get ready and show us your art skills! Our favorite submissions will receive some lovely headgear bubbles! We are really looking forward to what you're going to come up with! Send us your pictures to events@florensia-online. com. Your e-mail size shouldn't be more than 16MB. The deadline for submissions is the 23rd of January 2019. Rules: The design can be either digital or traditional, everything is allowed except for automatic lettering or the use of existing fonts to make a design. The logo has to say "Florensia". Have fun and we're looking forward to seeing what you come up with!